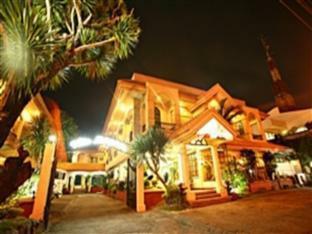 Discover all that Davao has to offer with My Hotel Davao as a base. All 135 rooms at The My Hotel Davao have all the modern facilities guests' would expect from a hotel of this class. Each guestroom is tastefully appointed with non smoking rooms, air conditioning, desk, in room safe, television, separate shower and tub, satellite/cable TV. Guests can experience the high standards of comfort while staying at this luxury Davao hotel with everything they need right on the site such as 24hr room service, elevator, coffee shop, restaurant, safety deposit boxes, WiFi . With elegant facilities and hospitality, guests at this hotel will surely have an impressive stay. For your reservation at the My Hotel Davao, simply submit your dates and complete our secure online reservation form.